When the founders of Bard’s Tale Beer Co. were diagnosed with celiac disease, gluten-free beer didn’t exist. Determined not to miss the fun of enjoying a beer with family and friends, they decided to create their own gluten-free brew. After much experimentation, the duo discovered a particular cultivar of sorghum could serve as an ideal stand-in for the gluten-containing barley in traditional beer. Their gluten-free brew tasted so good, they shared it with other beer lovers who have celiac disease. Nothing beats a cold beer on a hot summer day. But not too long ago, beer lovers with celiac disease or gluten sensitivity faced a nearly impossible choice: go without their favorite brew or risk getting sick. Gluten-free beer debuted as part of a niche market offered by a handful of breweries. Now beer lovers who follow a gluten-free diet have a rapidly growing number of choices. Like the two friends behind Bard’s, many brewers of gluten-free beer have a personal connection to celiac disease. The Utica, New York, company has grown from its humble homebrew origins to now distribute its Bard’s Gold in 36 states and five Canadian provinces. In the past few years, new gluten-free breweries have opened, and existing brewers have expanded their product offerings and distribution areas. 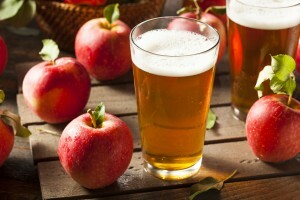 Others have introduced beers made with barley and other traditional ingredients that are processed to remove gluten. The brewers of these “gluten-removed” beers say they offer a great option for people who have milder gluten sensitivity or choose to follow a gluten-free diet. The U.S. Food and Drug Administration (FDA) regulates beer made with gluten-free ingredients and requires anything labeled “gluten free” to contain less than 20 ppm of gluten. The Alcohol and Tobacco Tax and Trade Bureau (TTB), which regulates beer made with barley and hops, does not permit gluten-removed beer to be labeled as “gluten free.” The label may state that the beer was processed to remove gluten, but it also must note the possibility that trace amounts of gluten remain. Lori Welstead, M.S., R.D., L.D.N., Section of Gastroenterology, Hepatology and Nutrition, University of Chicago Medicine, said the gluten-removed beers that recently have flooded the market taste very similar to traditional beers and often are preferred over gluten-free brews. However, she said, experts generally do not consider gluten-removed beers to be safe for people with celiac disease. New Planet Beer Co., a Boulder, Colorado, maker of gluten-free beers since 2009, introduced two gluten-removed brews earlier this year. President and general manager Pedro Gonzalez said there is room in the market for both gluten-free and gluten-removed beers. However, he said unclear and sometimes misleading marketing practices have contributed to confusion among consumers, who may not recognize or understand the difference between the two types of beer. Ground Breaker Brewery and Gastropub, a 100% gluten-free facility in Portland, Oregon, offers a growing assortment of brews including Pale Ale, Dark Ale, IPA No. 5 and Ollalie Ale, as well as seasonal beers. Until recently, Ground Breaker’s beers were available primarily in the Northwest. Earlier this year, the brewery announced distribution in Vermont and Maine. Ground Breaker has future expansion plans in New England and other parts of the country, Neumeister said, but details are unavailable at this time. Ground Breaker products also are available through Bring on the Beer, which can ship to most U.S. states. While the number of smaller gluten-free breweries clearly has grown, beer giants haven’t ignored the trend. Introduced in 2006, Anheuser-Busch Inc.’s Redbridge was the first nationally available gluten-free beer and remains among the most visible. Anheuser-Busch worked with Beyond Celiac, then known as the National Foundation for Celiac Awareness, to develop Redbridge, which is made without wheat or barley. MillerCoors’ Coors Peak Copper Lager and the new Coors Peak Golden Lager are made with all-natural ingredients that do not contain gluten or GMOs, including brown rice malt, brown rice, pure pea protein, caramel and hops. Both brews, which are certified gluten-free by the Gluten-Free Certification Organization, currently are available in the Seattle and Portland metropolitan areas. Other MillerCoors products are brewed at the same facility, but the company says on its website it takes “great care to isolate production of Coors Peak to ensure it is 100% naturally gluten free.” The facility is certified by the Gluten Intolerance Group, and the beers are tested by a third-party laboratory. The expansion trend isn’t universal. Delaware’s Dogfish Head Brewery discontinued Tweason’ale, its only gluten-free beer, earlier this year. Tweason’ale, which was made with strawberries, honey and sorghum, first hit shelves in 2012 and was distributed in about 30 states. “We wish it was a better seller, but it wasn’t to be,” Dogfish Head said in response to Gluten-Free Living’s inquiry. Omission Brewing co-founder Terry Michaelson and brew master Joe Casey’s wife have celiac disease, which kept them from fully enjoying some of their favorite social activities. Michaelson and Casey made it their personal mission to develop traditional beers for people on a gluten-free diet, launching Omission in 2012. “Omission is the first craft beer brand in the United States focused exclusively on brewing great- tasting craft beers with traditional beer ingredients, including malted barley, specially crafted to remove gluten,” brand manager Steven Hallstone said. Omission’s gluten-removed lager, pale ale and IPA are brewed in Portland, Oregon, and Portsmouth, New Hampshire, and are available nationwide. Like other craft beers, Omission is brewed with malted barley, hops, water and yeast, Hallstone said. An enzyme called Brewers Clarex breaks apart the gluten protein chains, he said, and the beers are packaged in a closed environment to eliminate any cross-contamination risk. “Both Terry and Joe’s wife have been drinking Omission for years without incidents or reactions, and they now can be a part of the regular drinking occasions that they once were excluded from,” he said. New Planet Beer president and general manager Gonzalez said New Planet is the only nationally distributed American craft brand that produces both gluten-free and gluten-removed beers. Two gluten-removed beers, Seclusion IPA and Tread Lightly Ale, joined New Planet’s gluten-free Blonde, Pale and Raspberry ales earlier this year. Both new brews begin with less gluten than conventional beers, then are brewed and fermented with an enzyme to break up gluten, he said. New Planet wants to cater to beer drinkers including its founder—who has celiac disease—as well as the increasing number of people who may be sensitive to gluten but do not need to avoid it completely, Gonzalez said. New Planet brewed the gluten-removed beers for tap room customers for several years before offering them in cans to satisfy the demands of fans. Consumer confusion: What is safe? Critics say gluten-removed beers can cause confusion for consumers, particularly when the brews are offered in the gluten-free section of a store or menu. Dietitian Welstead—who recently was diagnosed with celiac disease herself and misses the taste of traditional beer—said testing for gluten isn’t valid for gluten-removed beers. The formula that removes gluten from the beer also breaks up the amino acid sequence [or protein] that is necessary to adequately test for gluten, she explained. Gluten-free beers are a safer option for people with celiac disease, she said, because the brews never contain gluten from the start of production and carry no risk. She advises beer drinkers to read labels carefully and verify a product is gluten-free, not gluten-removed, to ensure they make a safe choice. Omission and other makers of gluten-removed beers say they want to offer choices for people with varying levels of gluten sensitivity. Omission is committed to transparency, Hallstone said, which includes testing beyond what is required and posting the results online at omissiontests.com. To date, every batch of Omission has measured at levels less than 10 ppm, the lowest level detectable by the best test available, he said. Mary Beth Schweigert is a freelance writer in Lancaster, Pennsylvania.